“Hello world! This year I celebrate my tenth anniversary as a programmer.” That is how Puck Meerburg greets the audience. Meerburg is clearly a digital native. 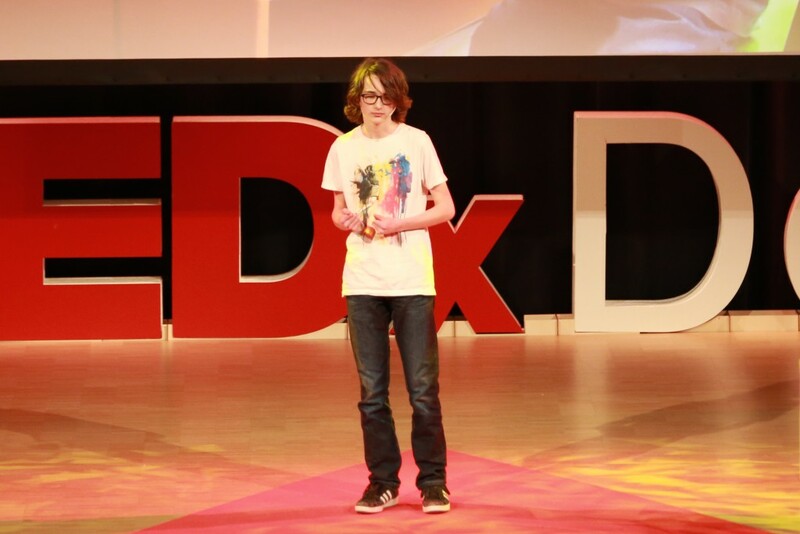 He was developing iPhone apps at the age of ten, and already has fifteen apps to his name. Now, at fifteen, he has joined a team that is actually developing a whole new Operating System for Mac and PC. You can’t help but wonder what he will be doing in five or ten years time. Meerburg compares learning to programme with learning languages. “First you learn the letters, then the words, and then you can make sentences,” he explains. He wonders why coding is not a regular subject in school. “Once you know the basics of programming, you can develop your beta skills.” Computational thinking, for example. To show the audience how easy it is, he programs a maze-solving robot on stage. “You just divide problems into bite-sized ones and solve those.” Despite the ease with which he does it, he undoubtedly keeps most of the audience baffled, or in awe at the least.